From the moment that you drive through the Canyon style entrance the impact of the resort is instantaneous and you just know you are in for something special. 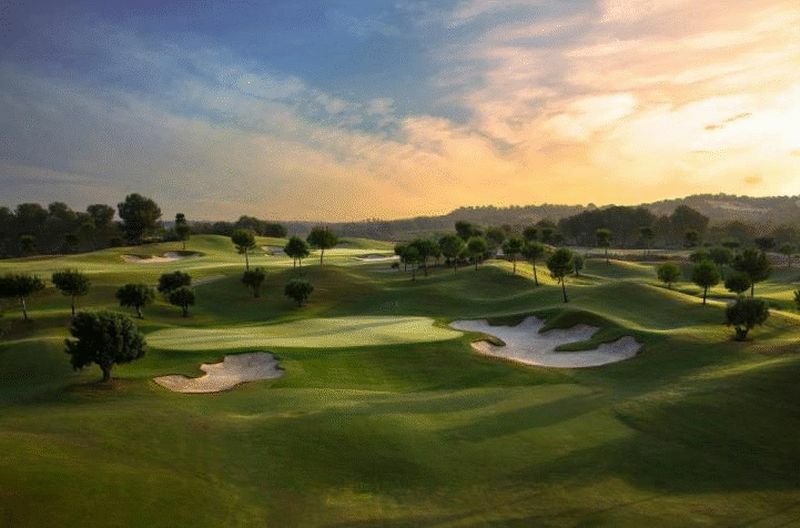 The course is set amidst orange and lemon groves, giving a traditional sense to playing golf and it works its way seamlessly through the natural topography making the best use of the views, hills and valleys for a totally relaxing experience The course which has been voted the Best in Spain for the last 3 years. 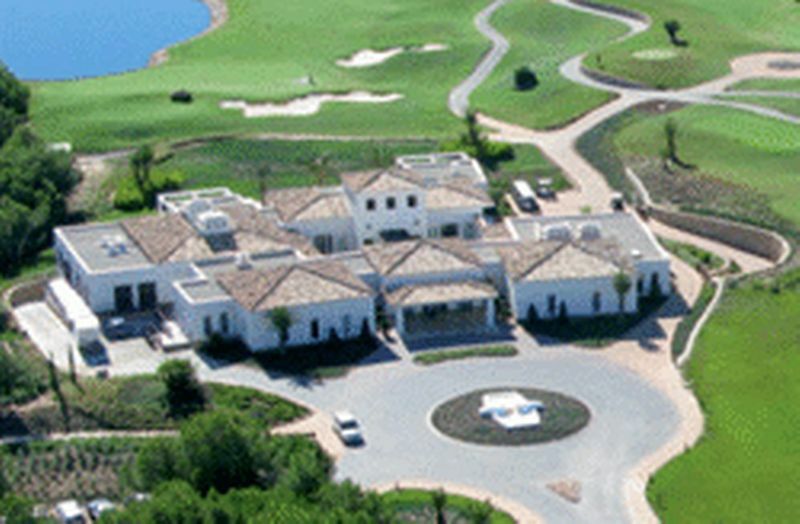 Las Colinas has also received many awards related to its facilities, villas, accommodation and golf development..... Seeing is believing. 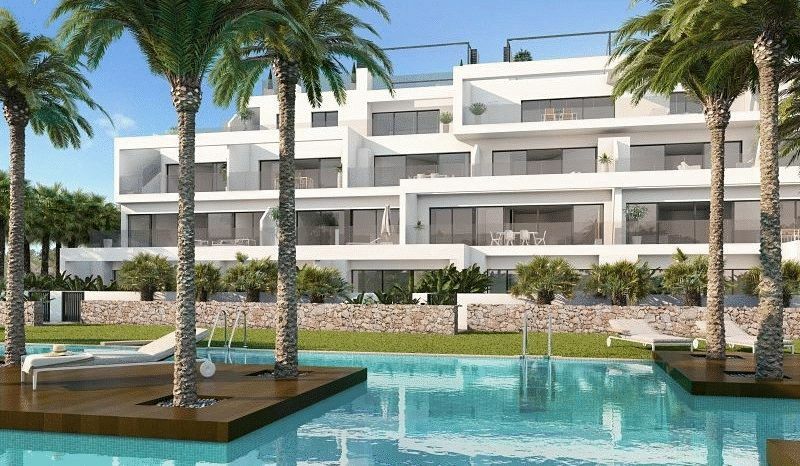 Hinojo is an exclusive community comprising a first phase of 25 apartments for sale. It enjoys a privileged location with views over the Mediterranean and woodland with native vegetation. The apartments in Hinojo Community are spacious 3 bedroom homes, thought for outdoor living with the perfect combination of design and practicality. 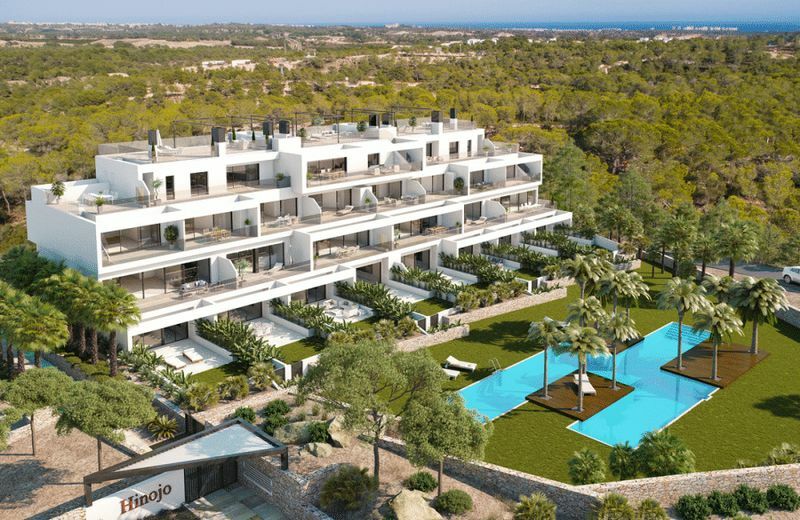 The location is also short drive to the wonderful sandy beach of Campoamor and the Private beach club that overlooks the Med. 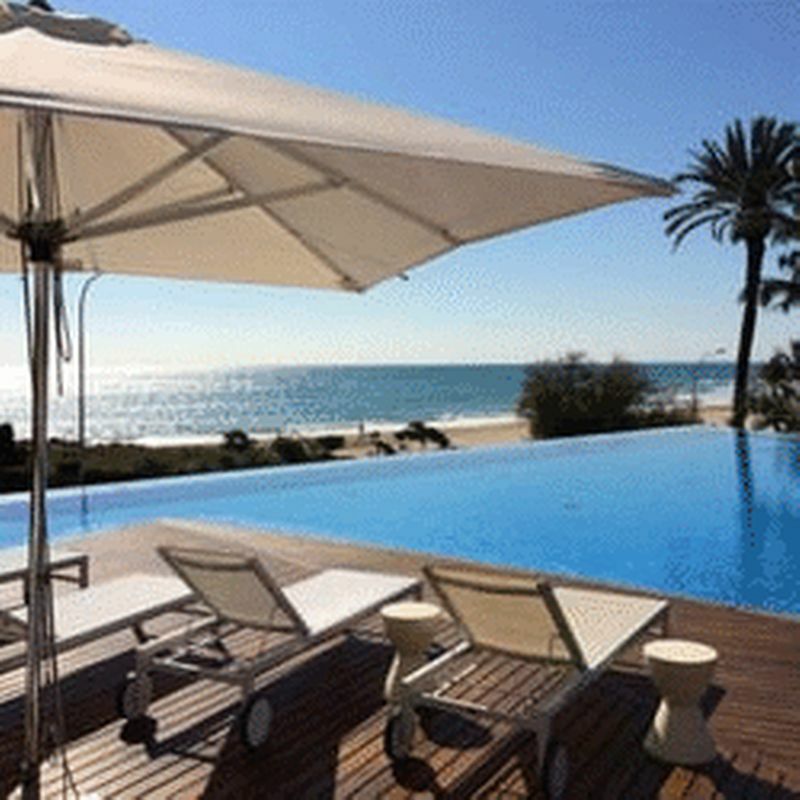 There are also many blue flag beaches such as La Zenia, Playa Flamenca and Cabo Roig only a short drive away. The area offers a variety of amenities and is only a 10 minute drive to La Zenia Boulevard with its many shops, bars and restaurants. 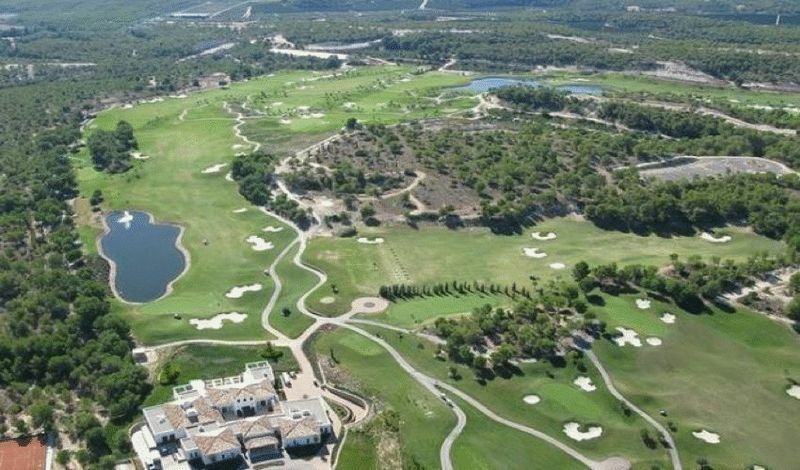 The area also boasts many more top championship golf courses the nearest being Campoamor with Villamartin and Las Ramblas are very close. 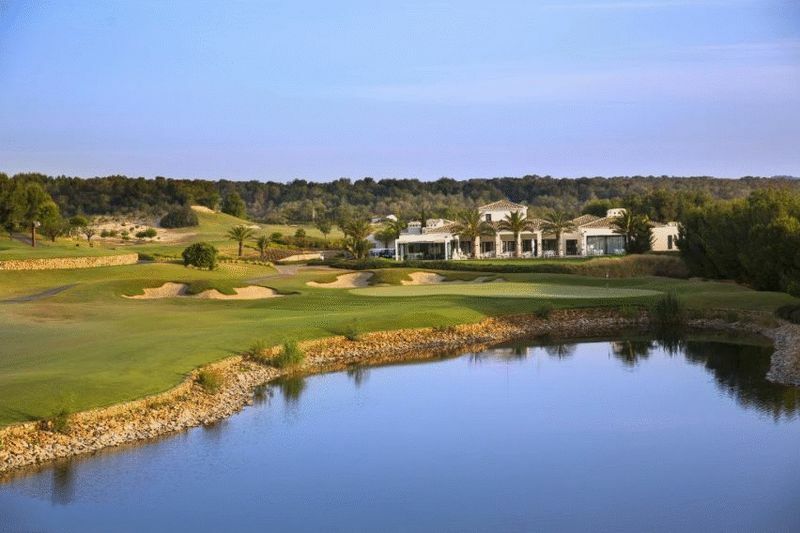 The Campoamor Golf course also has an amazing hotel and restaurant facilities. The area is considered to have a very healthy climate being near to the salt lakes where there are an abundance of flamingos and other wildlife. 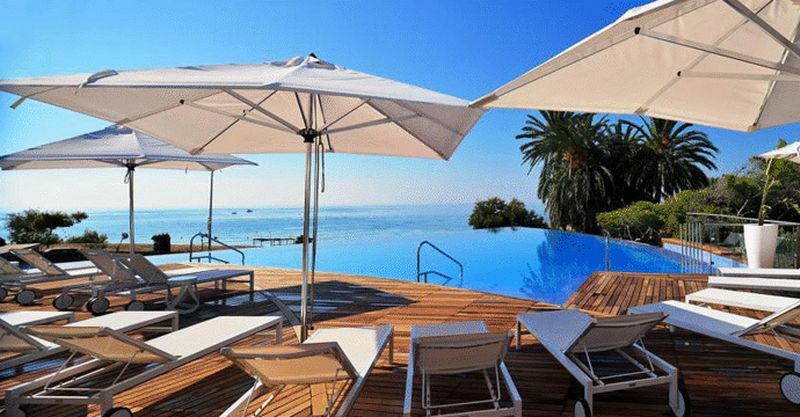 The area has something for everybody, you will be spoilt for choice. Las Colinas prides itself on the beautifully maintained gardens. The restaurants offer an extensive menu and also serves sushi. 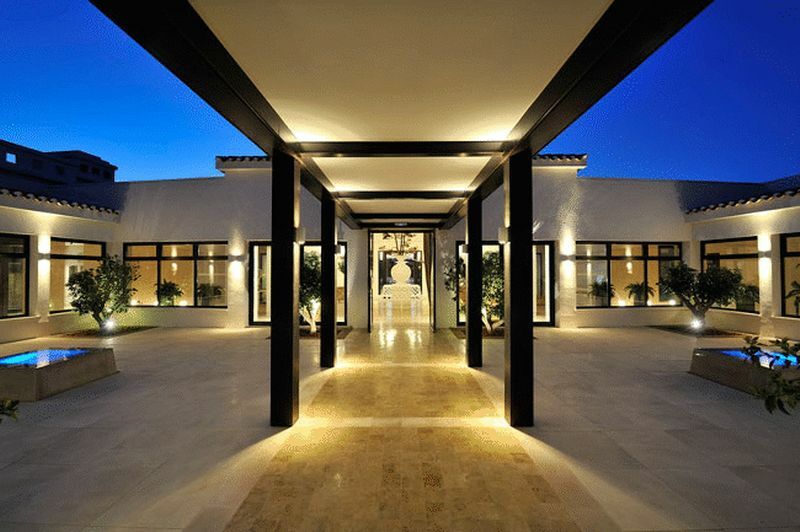 Las Colinas is pure luxury and beauty. Properties also have technology serving homes providing unique efficiency and comfort for its dwellers. Blinds lower automatically, lights adjust accordingly to the time of day, climate control adapts to the outdoor temperature.....comfort that takes very little getting used to.